We have been enjoying Hina Matsuri crafts since chasing the demons away last Monday. Most of the activities I found online and in magazines are mainly paper craft and ideal for my scissors happy children. The one I am blogging about today I found through Hiragana Mama’s unbelievably generous sharing of links and resources on her awesome blog. This craft from Happylilac.net is easy and fun for preschool children. HappyLilac is a Japanese website, but even without reading Japanese a lot of their crafts are easy to follow from the visuals. This activity contains free printables of an Emperor and Empress; there is a coloured version and a blank version that you can use for colouring and then crafting. All you need with the printables is a paper cup, a scissor and either glue or tape. The directions can be found at http://happylilac.net/hinaningyo-kamikoppu.html#tukurikata, they are also pictured below. 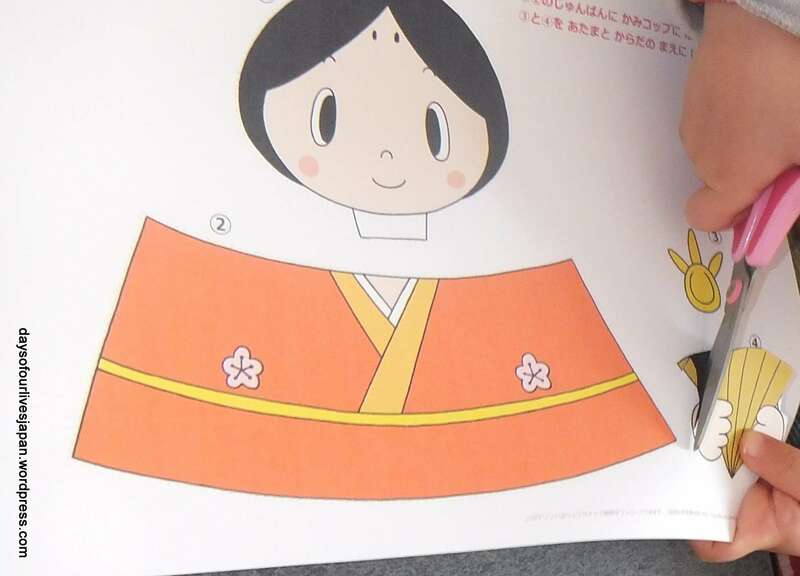 The materials can be printed out from the page linked above, or URL http://happylilac.net/hinaningyo-kamikoppu.html#tukurikata My 4-year-old and 3-year-old are accustomed to using a scissors as is the culture here in Japan. They enjoyed cutting out the figures and their accessories and sticking them to the paper cup. The paper cups I had to hand were a little big, but they still worked out okay. 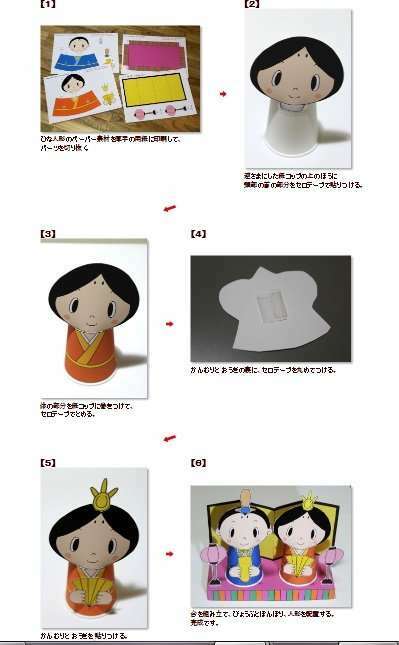 We used tape instead of nori (glue) to stick the figures to the cup and to make the “dan” (platform or tier) for the paper cup hinasama. I quite like how they turned out, even without the cut-outs being cut to perfection, the platform being askew and forgetting to stick the lanterns on. Looking for more Hina Matsuri activities? EASY HINA MATSURI ORIGAMI DOLLS HERE. That’s a good idea for crafts! Thank you so much for tweeting this craft. 😀 What’s rare is truly wonderful! They are cute aren’t they? We’ve been making all sorts of hina art and crafts, I really like the free printables that are about. They are almost as nice as the shop cards. I’m finding it a bit addictive though, more so than the kids!! Its a lovely celebration and a really nice way to mark Girl’s Day. Are you on Uni holidays that week? I really like the idea of Girl’s Day 🙂 apparently you eat chirashi sushi on that day, which I was really looking forward to! I’m actually on holiday already and I don’t go back to uni until April!! But I’m away in Malaysia visiting my grandma during Girl’s Day week. But that won’t stop me from making these cute crafts!! Have you got any plans for the holidays that are coming up? I know my manager’s son is “graduating” from nursery next month and then they’re planning on going away for a bit. I am actually going to be away too, on the day itself. So we celebrated once already and will again this Sunday before I fly out for a week’s holiday, ALONE!! I will miss the kids, of course, but time alone for the first time in 4.5 years, WOOHOO! Haha on the luggage, thankfully because mine is long haul luggage is “free”. All I have is a case full of presents though! Its a really lovely Japanese custom so I love when it comes around. 🙂 Thank you for commenting. This is so cool! I live in Japan and I didn’t even know about this holiday. Thank you for commenting Allison. 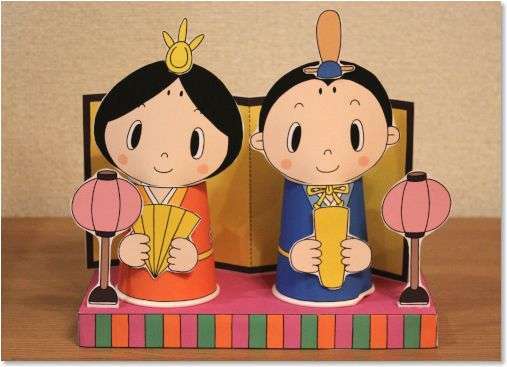 After Valentine’s you’ll probably see some of the special goods for hina matsuri in the shops. You might see some displays too. I love your “LiveLifeWell”, what a great name and sign off.